On this day in 1971 – Hijacker D.B. 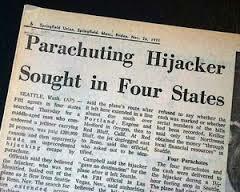 Cooper parachuted from a Northwest Airlines 727 over Washington state with $200,000 in ransom. He was never found.